The great French impressionist artist captivated worldwide an enthusiastic public with subtly formed sculptures, too. The ‘Little Dancer’ originates from 1879 -1881. The cold cast bronze replica is painstakingly hand-painted. Height (incl. base) 33 cm. This unique piece of work from 1946 carries you into a dream-like world which reflects the charm of a wonderful day. Granolithography, 12 colors, on 270 g of Rives handmade Paper. Handmade gold-plated studio frame. Limited world edition of 7500 copies. Size (framed) approx. 50 x 70 cm. 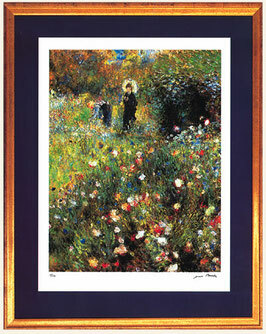 In this masterpiece, originating from 1875, Renoir has captured the charm of an unforgettable spring day on canvas. It is as if he has even painted the scent of the flowers. 20-color lithography. Limited edition of 999 copies on Arches handmade paper. High quality studio frame with passe-partout. Size (framed) approx. 70 x 90 cm. 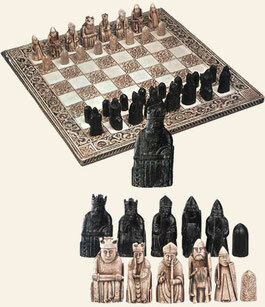 Figures such as the bishop are typical for chess sets of European origin, such as the Celtic Lewis chess set from the 12th century. The originals of these Nordic chess figures were found on the Isle of Lewis (Outer Hebrides) in 1831 and are currently in the British Museum in London. These chess figures, carved from walrus ivory, are attributed to a Scandinavian artist and are regarded as the most magnificant of the European Middle Ages. The reconstruction of the Lewis chess set is an extra-ordinary collector’s piece for every chess fan. Limited edition of 999 specimens. size approx. 58 x 58 cm. Cold cast chess figures, black and ivory colors. Size of the figures 4, 6 and 10 cm. by vigour and vitality. 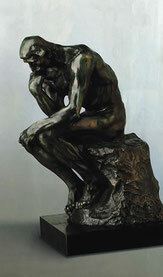 With his most famous work ‘The Thinker’, originating from 1880, Rodin made an immortal mark of creative energy and virtuosity. 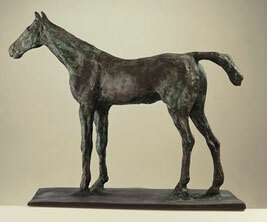 The cold cast bronze sculpture is (incl. marble base) 41 cm high. As a guardian of the house, home and family, this godhood enjoyed for centuries much adoration in ancient Egypt. 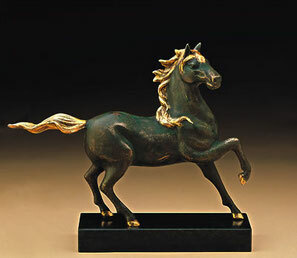 The museum replica, true to the original, is in cold cast bronze. Earrings and collar have a valuable gilding. Height (incl. wood base) 28 cm. A work of the sculptor Quirin Roth following motives from the most popular painting of Sandro Botticelli ‘Spring’ (la prima-vera). Amor, the son of Venus, shoots an arrow at Simonetta who is presumably the mistress of Prince Lorenzo di Medici. A masterpiee from finest marble cast. 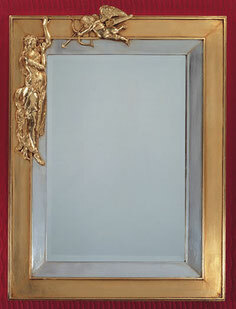 The frame is patinated in yeollwish-gold (23,6 carat) and white gold (12 carat). Size 43,5 x 59 cm. 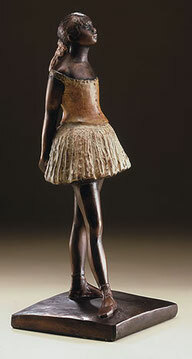 The great impressionist painter Edgar Degas (1834-1917) also acquired world prestige with his subtly formed sculptures. One of the most beautiful works is named ‘Fascinating Horse’. This horse, bursting with elegance and power, is individually made by hand as a limited edition. Height (incl. base) ca. 30 cm. True to the original of Fra Angelico (1387-1455). 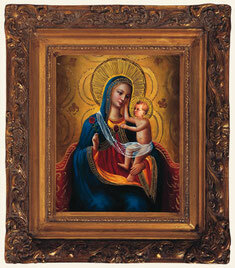 The original is an oil painting on wood, with a refined gold staffage and one real rubin. The Rose in the hand of Madonna is cut from red corals. 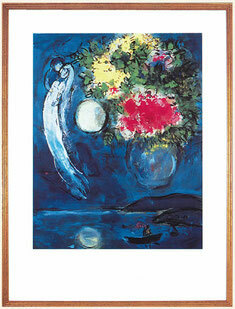 The outstanding painting is mounted in a richlygildes altar frame. (Museum of Vatikan). The celestial horses from the Han period are some of the most impressive works in Chinese art. We are offering the most fiery as a museum replica. It originates from between 25-220 AD, commissioned by a ruler of the eastern Han dynasty. Limited edition of 499 specimens. Mane, tail and hooves have a gold-leaf plating, each individual piece painsta-kingly made by hand. Height (incl. marble base) 32.5 cm.